I have had the pleasure to work with Nancy Gibson, the founder of Love Wildlife Thailand, for a number of years. This is a lady who is passionate about conservation and especially the welfare of our animal relatives. Nancy does a great amount of work through education and working with schools and is always willing to visit and partner young people through environment based projects. She is also an inspiring speaker and can engage large audiences as a key note or even spend the day working with children (and staff) of all ages as a facilitator. If you are in the South East Asia region and are looking for a way to target your sustainable thinking and action Identity then get in contact with Nancy and the Love Wildlife team – they really do love wildlife! Why did you start Love Wildlife Thailand? Nancy: Wildlife was a passion of mine since I ended my pursuit to become a medical doctor in university. I had always been surrounded by animals my whole life and realised late in my undergrad that I wanted to work in wildlife. I did wildlife education for some time in the states and had the opportunity to get experience here in Thailand before going back to start my own “something related to wildlife” in the US. I had actually thought of the name before I moved to Thailand, but didn’t know what I really wanted to do with it at that point. As I gained experience here working with wildlife vets I realised that Thailand needed more programs for wildlife education, far more than the US could ever need and decided to stay here and start my NGO. In what ways are you a global citizen? Nancy: I have demonstrated being a global citizen by first and foremost, taking responsibility for my own actions and how I treat nature and the environment. Secondly, I would say that I continue to pass on the torch to the younger generation through the education programs I develop and through inspiring kids to do more. The Youth Ecological Network is an example of that, were I am creating an environment for students to take charge and own the programs within their schools and reach out to their communities to spread awareness and take action. Why do you think sustainable thinking and action is important in today’s schools? Nancy: With the rapid deterioration of the environment and overuse from generations before (and even now), it’s definitely important to think sustainable in today’s schools. When we teach student’s to be responsible and make it a habit within the schools, student’s will often carry it on to their homes. This will in turn create a more sustainable future for generations to come. If we do not teach these things, our world will not be a very good place not too far in the future. How can schools and individuals work with and support Love Wildlife? Nancy: Of course Love Wildlife always needs funding to survive and continue to provide programs that not only teach about the environment and wildlife, but also support the conservation efforts as well. Holding events to provide knowledge and outreach to the local communities are always a great thing to do. 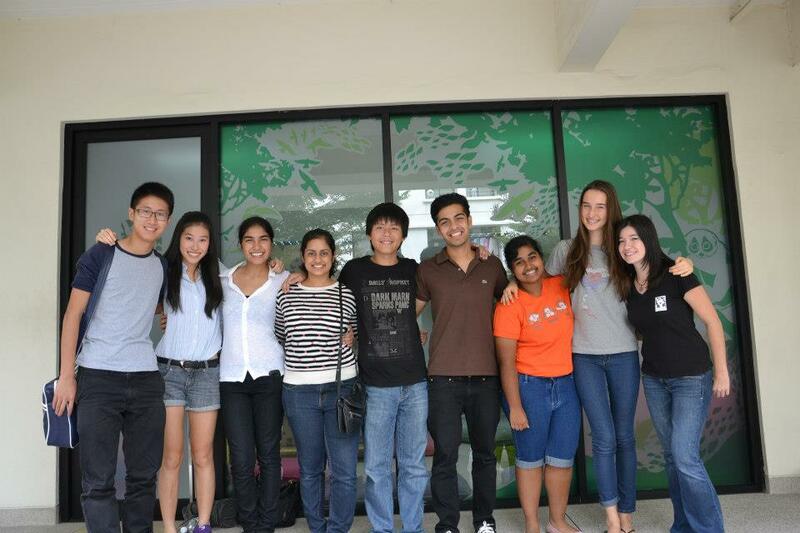 Many schools have jumped in on programs that they feel match their ideals or interests and have volunteered time to work on certain issues such as shark fin campaigns, dolphin issues and illegal wildlife trade. Supporting our new after school education program from grades 1-4 would (YEN Kids) also help in the sustainability of the organisation as well as give your students fun and interactive ways to learn about the many issues in wildlife. 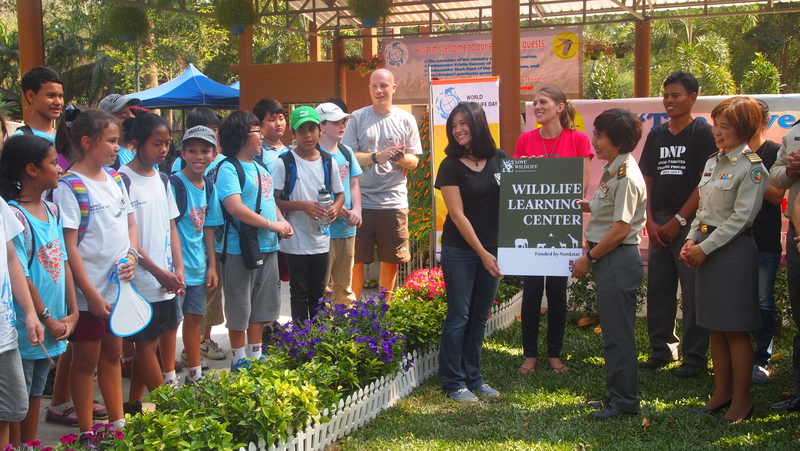 Nancy: Love Wildlife not only works hard at educating young students about wildlife, but push forward building a better future for wildlife in Thailand. 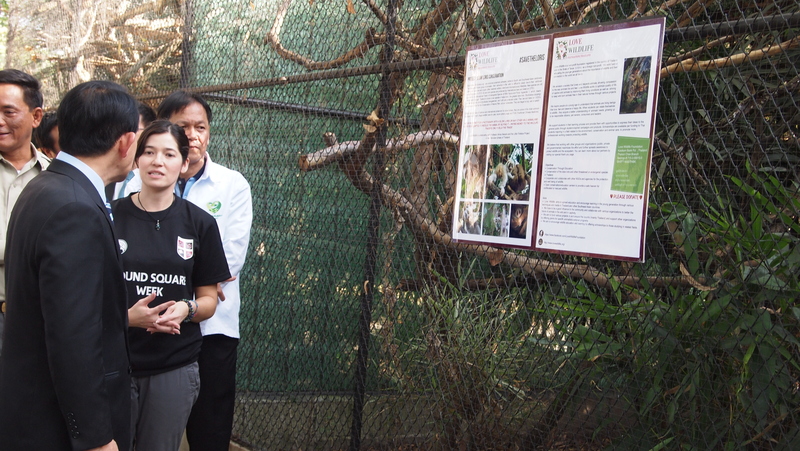 We work closely with the Thai government in capacity building and improving the lives of captive animals. Thanks to Nancy for contributing to the Global Citizenship Award website and sharing her thoughts. Please do check out the Love Wildlife website and get involved, there is plenty to do! See also Anita’s experience working with Nancy and the Love Wildlife team. This entry was posted in Community Partnerships, Culturally Aware and Interactive, Innovative and Proactive, Paul Crouch, Speakers, Sustainable Thinking and Action by Paul Crouch. Bookmark the permalink.